The end was near for the Axis forces in Tunisia, compressed from both sides into an ever-decreasing pocket against the Mediterranean Sea. The southern perimeter of the pocket was anchored by the impassable Shott el Fedjoj in the west and the sea in the east. 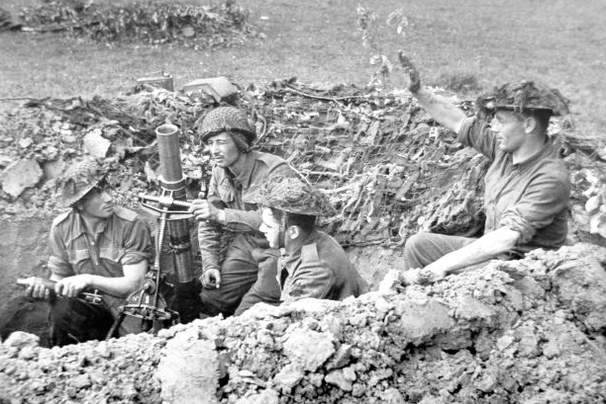 German and Italian engineers had dug extensive anti-tank ditches across open ground not already protected by natural barriers. 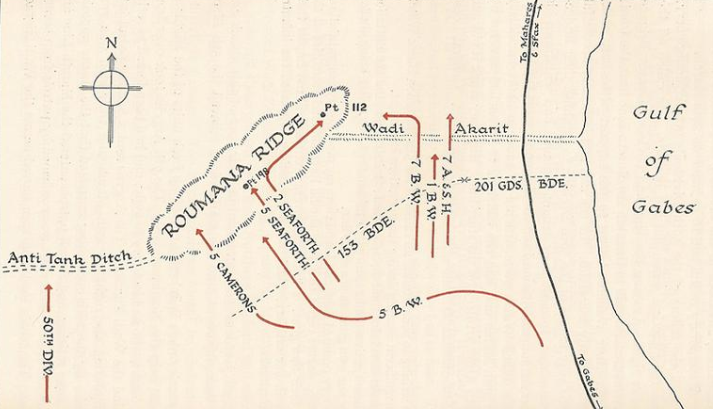 The British had no choice but to make a frontal attack, and the task of securing Roumana Ridge fell to the men of the 51st Highland Division. Misc Rules: Very Dry, Cliffs are not in effect. Woods are Crags. Entrenching is NA.